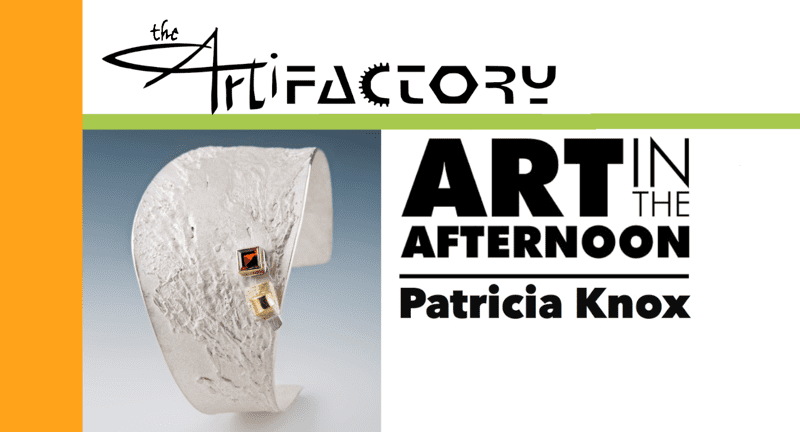 Patricia (Trica) Knox came to the University of Iowa as a potter but found herself working in Chunghi Choo’s metal’s studio most of the time. After completing her MA in Metalsmithing and Jewelry in 1982, she established her own studio and began selling her work in galleries around the US. ART IN THE AFTERNOON is a monthly artist talk / workshop usually held on the 3rd Sunday of month. This series focuses on introducing local artists to the Iowa City community.